The day Michelle Wallace gave birth to her fourth child, her doctors discovered she was suffering from an advanced case of endometrial cancer. 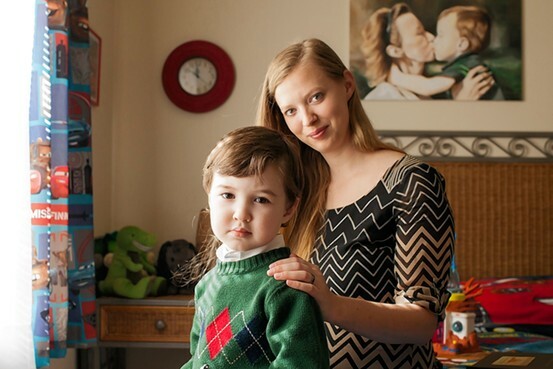 Ms. Wallace worried she was going to die before her newborn son, Toby, grew up. “Her biggest fear was that he was not going to remember her,” says Kallie Greenly, Ms. Wallace’s adult daughter. So before she died in 2011 at age 43, Ms. Wallace recorded a 17-minute video for her son, talking about her life, her idea of happiness and how she wanted to be remembered. It is a step more terminally ill patients are taking these days, either on their own or with the help of nonprofit groups specializing in what are called “legacy videos.” Just So You Know, the group that recorded Ms. Wallace’s footage, offers its services free to patients at hospitals and cancer-patient conferences. Another nonprofit group, Thru My Eyes, records videos free in patients’ homes. Diana Nash, a bereavement counselor in New York City, says the videos can give children and other relatives a lasting memento of a loved one. Still, she says, “sometimes it’s hard for family members to see a video in the first couple of months after a person has died, because it’s just too soon. They’re still in shock, they’re still numb.” Legacy videos also can sometimes contain painful messages, overbearing advice or wishes that the children don’t feel they can carry out. Research has shown that improvements in mental health and general well-being can result when people have the chance to tell their stories. In numerous studies, subjects who completed a daily writing exercise reported feeling more positive and less anxious, sleeping better and visiting the doctor less often, according to James Pennebaker, chairman of the psychology department at the University of Texas, Austin. There has been less research on the effects of videotaped expression, he says. Ms. Wallace decided to make her video on the spur of the moment, after coming upon a Just So You Know display at a conference for cancer patients in 2010, says Ms. Greenly, 25, of Refugio, Texas, who appears with her mother in the video. Robin Weinberg, who founded Just So You Know in 2008, gave the two women a list of suggested discussion topics and left them alone in the taping room at the conference. Ms. Wallace died seven months later, when Toby was 2. She never watched the video but was relieved to have made it and put it in a keepsake box for Toby, her daughter says. Toby, now 5, recently watched the video, according to his father, Glen Bullock. Just So You Know, based in Westport, Conn., and Thru My Eyes, in Scarsdale, N.Y., operate mainly in the Northeast but also have helped people make legacy videos elsewhere in the country. Just So You Know, which makes videos for cancer patients at every stage of disease, charges hospitals and conferences a fee to cover its costs. Thru My Eyes relies on donations and grants. Both offer their services at no charge to patients. Ms. Heller refers willing patients to Thru My Eyes, founded in 2010 by Carri Rubinstein, a 22-year breast-cancer survivor. Ms. Rubinstein says she got the idea after meeting a cancer patient at her gym who wanted to make a video for her child. With grants from donors including the Countess Moira Charitable Foundation, based in Pelham, N.Y., Thru My Eyes has made some 40 videos so far in patients’ homes. Sometimes the group lends families video cameras so they can capture meals, bath time and other everyday rituals for the video. Sometimes Ms. Rubinstein interviews patients on tape. Other times family members or a psychiatrist volunteers with Thru My Eyes. One patient who was too frail to get up from her hospital bed spoke for 2½ hours, though her family thought she couldn’t go for more than 15 minutes, Ms. Rubinstein said. Not every patient making a video has young children. Natalie Corbo recorded a video with Thru My Eyes before she died of breast cancer in 2012, when her children were in their 30s. Her daughter, Faith Corbo, now 34, watched the DVD about three months after her mother passed away. She says it is “one of the best gifts” she has ever received. Ms. Corbo says she was struggling in her marriage at the time her mother made the video. “She, in a very diplomatic way, commented on my husband maybe not being the best choice for me, but that we were working very hard and she supported me in all my endeavors,” Ms. Corbo says. She ended up getting a divorce before her mother died.